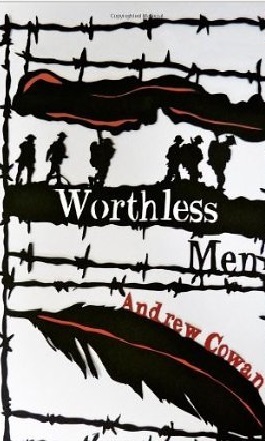 Worthless Men transports the reader to an unnamed market town in England in the year 1916 where many of the men have gone to fight in World War I and the war has changed everyone’s lives. This town could be anywhere in England with a butcher, a chemist, the wealthy family who dispense largesse to the poor, the crowded damp houses and the men who settle disputes in the pub or with their fists. The book is split into very short chapters which link together in an almost whimsical way, following each of the five characters memories of the past, as well as showing us the present. This device means that as the book progresses the reader has built up a picture of the town and its inhabitants in a similar way we usually get to know people by putting the facts of what they say and do together with the `reading between the lines’ for the unsaid. The book is written in the third person and two of the five main characters are interested in eugenics. Eugenics was respected at the beginning of the twentieth century and it is shocking to realise that some thought that the war was a way of cleaning up the gene pool thereby removing the worthless men. The theme of worthless men is strong throughout the book and different types of worthlessness are scattered amongst its pages. I loved the style of this book; the gradual building up of a picture was immensely satisfying with every page of this 260 page book adding detail to this well-known historical period. After finishing reading the book I discovered that Andrew Cowen had recorded some oral histories earlier in his career which is probably why the feeling of authenticity is so strong. I think this book would be an excellent for a Book Club. I received this book from Amazon Vine. Excellent – I really liked this book and is definitely one of my top ten reads of this year. Another one added to the list. Thanks for the review! You are welcome, I rave about this one! I like the realistic portrayal particularly around eugenics, which we tend to airbrush from history. It’s quite a slim book but has so much packed into it too!